G. Fred Lee, PhD, PE, DEE and Anne Jones-Lee, PhD. G. Fred Lee & .... 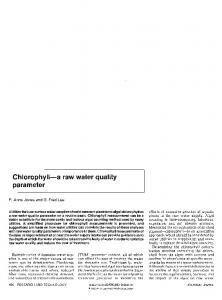 These issues were discussed by Cherry (1990) and others (Lee and Jones-Lee 1998). lands where the wastes were burned in open pits. Beginning in ... liners and landfill covers, to initially isolate the waste from moisture in a âdry tombâ approach. A.
mine the persistence of the aquatic herbi- pond has an average depth of ... contact weed killer used in weed control the drawn-down treatment ponds to com-. 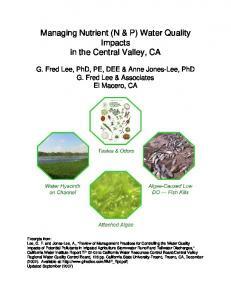 Sep 30, 2008 - G. Fred Lee, PhD, PE, BCEE and Anne Jones-Lee, PhD .... and sources of contaminants, it is not a readily controllable factor in the .... CA/NV AWWA Fall Conference, Sacramento, CA, PowerPoint Slides, G. Fred Lee &. Flawed Technology of Subtitle D Landfilling of Municipal Solid Waste. Overview of Landfilling ...... San Jose State College in San Jose, California, in 1955.
of G. Fred Lee & Associates, El Macero, CA, February 2007; Presented in part at CA/NV ...... wells located in Yuba, El Dorado, Tehama and Tulare Counties, and that the ... the results by county are posted on the SWRCB GAMA website. Part III discusses the role of aquatic plant nutrients in causing low DO in .... in a BOD bottle and measuring the depletion of DO over time using a membrane. 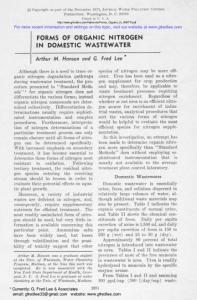 1982 American Water Works Association effects of excessive growths of aquatic plants in the raw water supply. Algal counting is timeâconsuming, laborious,. Title 27) regulations also have a Performance Standard, which specifies that the liner ... 27, California Code of Regulations sections 20330 and 20950) (SWRCB 2005). ..... 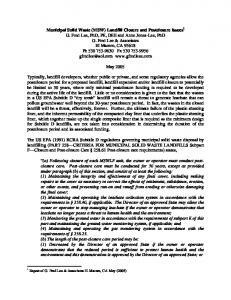 Disposal Facility Criteria: Final Rule, Part II,â Federal Register, 40 CFR. monitored/detected, action can be taken to repair the areas of the landfill cover that are allowing moisture to pass through the cover to generate leachate. Expected Performance of the Landfill Cover A properly constructed and maintained landfill cover that includes a plastic sheeting layer can be effective in preventing moisture from entering the landfill and therefore keep the wastes dry. When dry, the wastes do not generate leachate or landfill gas. In a dry tomb type landfill, drying out of the wastes leads to a dormant period with respect to landfill gas and leachate generation. However, the integrity of the low-permeability layer of the cover is subject to many stresses; eventually, it deteriorates and allows moisture to enter the wastes, which allows the renewed generation of leachate and landfill gas. This can occur a short time after landfill closure, or be postponed for decades after landfill closure. A reliable landfill closure plan for a landfill must include monitoring of leachate and landfill gas generation for as long as the wastes in the landfill have the potential to generate leachate and gas when moisture is introduced into the wastes. Continued leachate and/or landfill gas generation after the landfill is closed is an indication that the landfill cover is not preventing water from entering the landfill. The landfill cover must be routinely inspected for areas of stressed vegetation, which is indicative of landfill gas migration through the cover. Renewed landfill gas and/or leachate generation after a dormant period of little or no leachate generation is an indication that water is entering the landfill. Under those conditions, the landfill owner must be required to locate the area of the cover that is no longer preventing moisture from entering the landfill, and repair the low-permeability layer of that area of the cover. This process will have to be repeated as needed for as long as the wastes in the landfill are a threat. Recognize that the low-permeability layer of the landfill cover will need to be periodically evaluated for deterioration that will lead to its failure to prevent moisture from entering the wastes and generating leachate. It will be necessary to develop an approach to repair the lowpermeability layer of the cover when it becomes evident that a closed part of the landfill is generating leachate and landfill gas at a rate well above that which would be expected for a landfill with a properly functioning low-permeability cover. The typical landfill postclosure funding does not include the funds needed to locate and repair the landfill cover low permeability plastic sheeting layer. Reliability of Groundwater Monitoring The geology/hydrogeology of the area under and near some landfills is complex. Because of fractured rock or sandy lens aquifer systems underlying some landfills, it is difficult, if not impossible, to use vertical monitoring wells at the point of compliance for groundwater monitoring of the landfill to reliably monitor groundwater pollution associated with the initial failure of the composite liner. Typically, landfill permitting agencies allow a highly arbitrary approach to determining the number of monitoring wells that are to be placed along the point of compliance for groundwater monitoring. As part of permitting a landfill, the landfill owner should conduct a quantitative assessment of the number and locations of groundwater monitoring wells that would be needed to reliably detect leachate-polluted groundwater when it first reaches the point of compliance for groundwater monitoring which occurs from liner leaks at any location in the landfill liner system. Recognize that the Groundwater Monitoring System is Unreliable for Detecting LeachatePolluted Groundwater. An evaluation should be made of the flow path(s), migration rates, and possible attenuation for leachate pollution of groundwater that could be generated from liner leakage from any location in the landfill footprint, including side slopes. Additional monitoring wells will likely be needed to properly monitor leachate pollution of groundwater. In making the groundwater pollution potential evaluation, the worst case from a pollution potential perspective is the one that should be considered, such as the highest recorded groundwater velocity, least dilution/attenuation. Similar problems exist with respect to reliably monitoring landfill gas migration at the edge of the landfill property. The closure of the landfill should include a comprehensive review of the adequacy of the existing groundwater and gas monitoring systems. The geology/hydrogeology of the landfill area should be sufficiently well delineated so that it is possible to determine whether the existing monitoring well array has a high probability (95%) of detecting leachatepolluted groundwater and landfill gas migration at the location of the monitoring wells. Yearly monitoring of all downgradient public and private domestic and agricultural wells that are potentially impacted by leachate-polluted groundwater is recommended as an additional safeguard to protect the health of those most likely impacted by leachate-polluted groundwater that is not detected by the groundwater monitoring systems that are allowed at Subtitle D landfills. Further, a procedure should be developed that will ensure that the landfill owner will incorporate new monitoring parameters as new but long-standing unrecognized pollutants are discovered in municipal solid waste and industrial nonhazardous waste streams. Landfill Gas Emissions Landfill gas emissions are a significant threat to cause explosions and to present a health threat to those in the sphere of influence of the landfill. As part of developing the final closure plan for a landfill, there will be need to gain better control of both landfill gas generation, through controlling the water that enters the landfill through the cover, and the offsite migration of landfill gas. There is need to evaluate if landfill gas will be detected by the current gas migration monitoring system. There is also need every five years to reevaluate if those most likely impacted by inadequately controlled landfill gas emissions are experiencing elevated landfill gas concentrations in their area. Consider the potential of landfill gas pollution of groundwater. Of particular concern in monitoring for potential impacts of landfill gas migration is the potential for such migration to cause groundwater pollution in areas upgradient of the direction of groundwater flow. Such pollution can readily occur and thereby make upgradient monitoring wells unreliable for establishing the background concentrations of constituents derived from landfill gas. Periodically evaluate the rate of landfill gas releases through the cover. Every five years an evaluation should be conducted of landfill gas mass flux rates through the cover, with particular attention given to areas of the landfill cover where the vegetation has been damaged/killed. These areas are an indication that the plastic sheeting layer of the cover needs repair. They also indicate that the landfill gas collection system is not working adequately and needs repair. consultants to try to convince the regulatory agencies and the federal Congress that these landfills can be closed, where the landfill owners would be relieved of the long-term financial obligations associated with postclosure monitoring, maintenance and groundwater remediation of the closed landfill. GeoSyntec (2003a,b) made a presentation and developed a report that provides unreliable, technically invalid, and for some landfill closure/postclosure issues, distorted information in support of relieving landfill owners from the responsibility of implementing postclosure activities to ensure to a high degree of reliability that the closed landfill will not at some time in the future (during the time that the MSW in the landfill will be a threat) cause groundwater pollution and experience uncontrolled landfill gas releases that are a threat to public health and the environment in the vicinity of the landfill. GeoSyntec is a geotechnical consulting firm that specializes in assisting landfill developers with gaining permits to develop landfills and landfill expansions, and assisting with closure and postclosure issues. GeoSyntec has made unreliable statements, such as that it is possible to predict, based on landfill monitoring records, the period of time that a minimum-design Subtitle D landfill will be a threat to cause groundwater pollution by landfill leachate that has passed through the bottom liner and/or to emit landfill gas through the cover that will be a threat to public health, safety and the environment. Further, GeoSyntec (2003b) has stated in a report to the California Integrated Waste Management Board that there is no need to make it explicitly clear that the current RCRA Subtitle D postclosure funding obligation extends for the period that the waste components and their transformation products that are present in a landfill will be a threat to generate leachate and landfill gas. 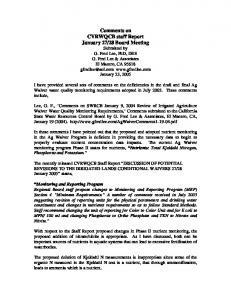 Lee (2004a,b) commented on the inadequate and unreliable information provided by GeoSyntec in their reports to the California Integrated Waste Management Board. As discussed by Lee and Jones-Lee (1995a,b; 2005), for planning purposes, the period of postclosure care for a Subtitle D “dry tomb” is forever, since some of the components in MSW will remain a threat forever. In a “dry tomb” type landfill (which was adopted by the US EPA first for hazardous waste landfills in the early 1980s and for MSW in the early 1990s), so long as the wastes are kept dry after closure of the landfill, the waste components do not degrade, decompose, or leach hazardous and/or deleterious components. Moisture (water) in contact with the MSW waste components is essential for degradation and leaching processes that can eliminate the essentially infinite threat to public health and groundwater quality. A similar presentation to that of GeoSyntec on this issue was made by Caldwell (2004) of Waste Management, Inc., to the California Integrated Waste Management Board in December 2004. As discussed by Lee and Jones-Lee (2004b) in their comments on the Caldwell presentation, it is inappropriate to assume normal processes that occur in a classical sanitary landfill will occur in a Subtitle D dry tomb landfill. While the normal process of landfill gas formation in the unlined sanitary landfill is somewhat predictable, the processes that govern landfill gas and leachate formation in a dry tomb landfill are dependent on the amount of moisture that enters the landfill through the low-permeability cover. If the cover is effective in greatly restricting the amount of moisture (water) that enters the landfill, landfill gas and leachate generation will greatly slow down and can even stop. Under these conditions, the landfill will enter a dormant period with little or no landfill gas and leachate formation. 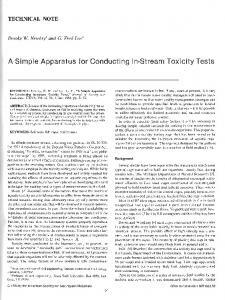 These issues have been reviewed by Lee and Jones-Lee (1999). The key to keeping a dry tomb landfill dry is the integrity of the plastic sheeting layer in the landfill cover. Normally this cover liner is buried below several feet of a top soil and drainage layer. The deterioration of the plastic sheeting liner in the cover that enables moisture to enter into the landfill in sufficient amounts to generate landfill gas and leachate is not predictable or readily measured by the approaches being used today. The dormant period of a dry tomb landfill will last until the integrity of the cover is breached and moisture begins again to enter the wastes. At that time, landfill gas and leachate generation will begin again. If this situation occurs during the minimum 30-year postclosure period when there is landfill gas and leachate monitoring, the regulatory agency for the landfill could require that the landfill owner repair the cover. One of the issues that needs to be addressed is that the typical postclosure funding does not provide funds for plastic sheeting cover liner repair. This could be expensive since the area of deterioration of the buried plastic sheeting layer of the cover cannot be detected by a visual inspection. Importance of Adequate Review of a Landfill’s Closure Plan As discussed herein, there are a number of important issues that those who are concerned about the long-term impacts of a landfill need to consider as part of reviewing the landfill’s closure plan. This plan should adequately and reliably consider the variety of issues that will govern the impacts of the landfill on public health and the environment for as long as the wastes in the landfill will be a threat. Many of the key issues that need to be considered have been discussed in this review. References and Additional Information Caldwell, M., “Performance-Based System for Post-Closure Care at MSW Landfills,” Presentation at the California Integrated Waste Management Board Workshop devoted to PostClosure Maintenance Period and Financial Assurance for Post-Closure Maintenance Workshop Sacramento, CA, December 6, (2004). Cherry, J. 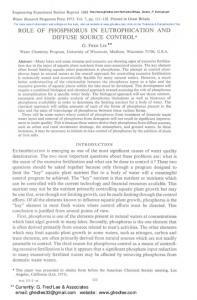 A., “Groundwater Monitoring: Some Deficiencies and Opportunities,” In: Proc. of the 10th ORNL Life Sciences Symposium, Gaitlinburg, TN, Hazardous Waste Site Investigations; Towards Better Decisions, Lewis Publishers, B.A. (1990). Available from [email protected] as LF019. DEP, “PA CHAPTER 273. MUNICIPAL WASTE LANDFILLS,” Pennsylvania Title 25, Department of Environmental Protection (2005). http://www.pacode.com/secure/data/025/chapter273/chap273toc.html GeoSyntec “Performance-Based System for Post-Closure Care at MSW Landfills,” Presented at ASTSWMO Meeting, Salt Lake City, Utah, GeoSyntec Consultants, Inc July (2003a). GeoSyntec, “California Integrated Waste Management Board Landfill Facility Compliance Study Phase I Report - Results of Screening of 224 California MSW Landfills, Developed by GeoSyntec Consultants, Inc., December (2003b). as the Wastes in the Landfill will be a Threat,” Report of G. Fred Lee & Associates, El Macero, CA (2004a). http://www.gfredlee.com/LFoverviewMSW.pdf Lee, G. F. and Jones-Lee, A., Comments on Michael Caldwell’s Presentation, “PerformanceBased System for Post-Closure Care at MSW Landfills” to the CA IWMB Landfill Financial Assurance Workshop, Sacramento, CA December 6, 2004,” Comments Submitted to CIWMB by G. Fred Lee & Associates, El Macero, CA, December (2004b). 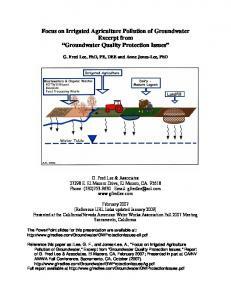 http://www.members.aol.com/Annejlee/CaldwellPerformBasedLF.pdf Lee, G. F. and Jones-Lee, A., “Flawed Technology of Subtitle D Landfilling of Municipal Solid Waste,” Report of G. Fred Lee & Associates, El Macero, CA, March (2005). http://www.members.aol.com/apple27298/SubtitleDFlawedTechnPap.pdf SWRCB/CIWMB “COMBINED SWRCB/CIWMB REGULATIONS DIVISION 2, TITLE 27” State Water Resources Control Board/Integrated Waste Management Board Sacramento, CA (2005). http://www.swrcb.ca.gov/rwqcb9/programs/units/ldu/title27.pdf US EPA, “Solid Waste Disposal Facility Criteria: Final Rule, Part II,” Federal Register, 40 CFR Parts 257 and 258, US EPA, Washington, D.C., October 9 (1991). 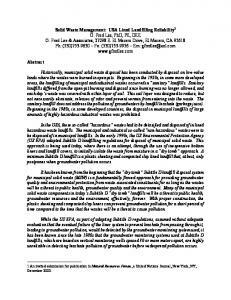 Report "Municipal Solid Waste - G. Fred Lee & Associates"